Keep a diary of meals and exercise: a good help when losing weight – What It Is? Often, especially when we want to lose weight, we underestimate what we eat and overestimate how much we move. That is to say, we perceive that we eat less than what we actually eat and, on the contrary, we think that we move a lot or that we spend a lot of calories when the truth is that there are not that many. This misperception in terms of food and exercise can undermine our weight loss strategy. Because of this, it is important that, if our goal is weight loss, we are aware of the foods and products we eat throughout the day and what we actually move. And for this it is very useful to keep a diary with our food intake and our exercise: this review of scientific studies associates the fact of keeping a diary of meals and training with weight loss . To perform this review, 22 studies were used in total : 14 of them monitored the daily food intake, one monitored the daily exercise and another six monitored the weighing, with different methodologies (from the notes on paper – the most used technique) to the digital monitoring with mobile applications). Although the groups of the studies were too homogeneous (mostly young women, and this highlights the need to carry out more studies in other population groups), the review was able to associate the fact of taking control of diet and exercise. with the loss of weight . This is because, once we are aware of what our habits are in terms of food and exercise, it is easier for us to identify those we need to change and replace them with healthier ones . The self-evaluation and the reinforcement we receive when we see how we are changing and approaching our goals also favor this change in habits and that weight loss. 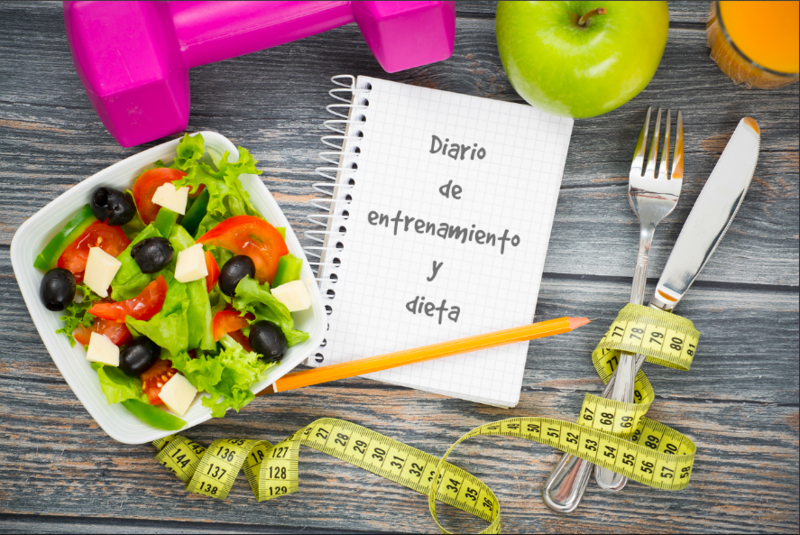 Obviously, the success of these food and exercise journals depends largely on how sincere we are at the time of filling them : perhaps the case of the meals is the clearest one is, since we should write down everything. Yes, that Coca-Cola that you have taken at mid-afternoon also counts, and that piece of cake that you have been offered at mid-morning in the office, even if it was very small. Often, we usually record in our head only what we eat inside the main meals, forgetting the rest, and this can play against us. Keeping a food and exercise diary , either on paper or with the help of an app, is a good motivation and a great help when it comes to changing our habits to healthier ones.